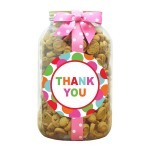 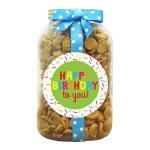 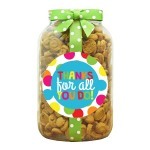 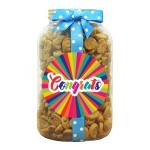 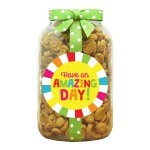 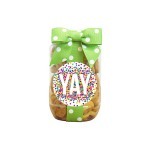 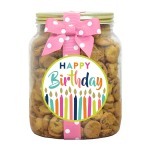 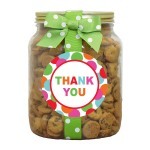 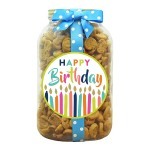 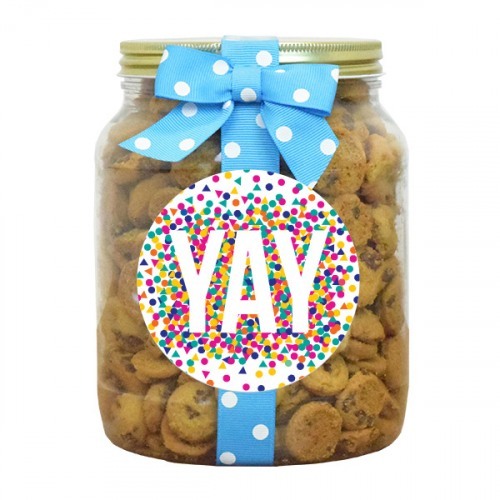 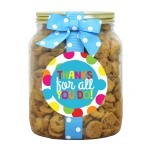 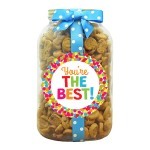 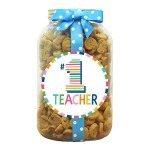 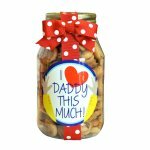 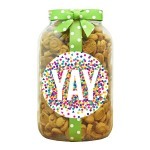 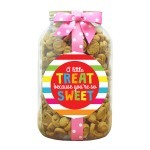 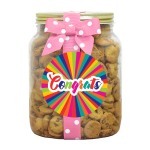 On each large half-gallon pint jar of these delicious cookies, you'll find a Swoozie's exclusive design of "YAY" surrounded by shaped bright confetti on the border. 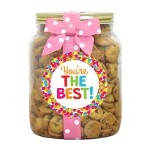 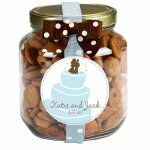 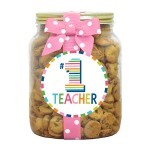 Not be outdone, inside the jar you'll find these homemade cookies are loaded with love. 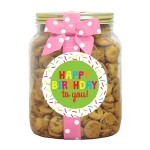 For 30 years, Nammy made delicious bits for eleven grandchildren for birthdays, holidays or just because. 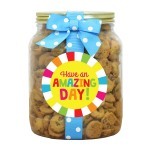 Great gifts for co-workers, friends, and lovers, they won't be able to resist Nam's Bits! 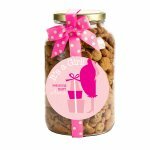 Makes the perfect holiday gift!